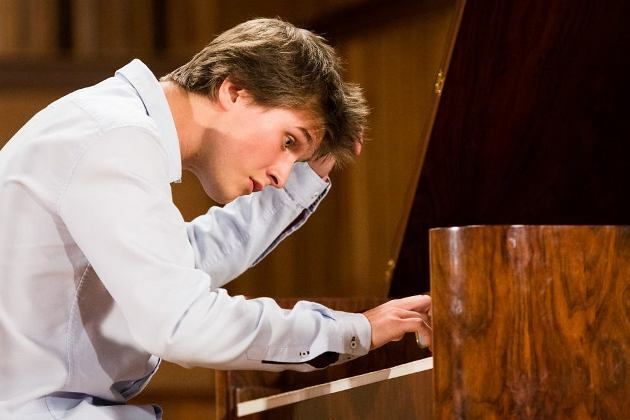 In September of 2018, the 23 year-old Tomasz Ritter won first prize at the 1st Chopin Competition on Period Instruments in Warsaw. A graduate of Moscow’s Pyotr Tchaikovsky Conservatory, Ritter gained much insight and experience in playing early instruments through working with such luminaries as Johannes Sonnleitner, Alexei Lubimov, Malcolm Bilson, Andreas Staier and Tobias Koch. This young artist is already a veteran of the concert stage, having performed extensively in Europe, Russia and Japan. In 2014, he released his first album featuring works by Bach, Beethoven, Szymanowski and Ginastera for the Polskie Nagrania label. For his Vancouver concert, Ritter will play on a Viennese instrument as well as our beautiful 1852 Broadwood piano. Join us for the Vancouver debut of this rising star. Our newly minted winner of the 1st International Chopin Competition for period instruments begins his Vancouver debut with Beethoven’s youthful masterpiece, the 32 Variations in C minor (WoO 80), a work that has been championed by many great pianists, including Vladimir Horowitz. The concert continues with Haydn’s rarely played Fantasia in C major (Hob XVII:4) and another Fantasia by Polish composer Franciszek Lessel, a student of Haydn’s. Jan Vaclav Vorisek’s rarely heard Sonata quasi una fantasia in B-flat major rounds off the first half of the recital. We get to experience our young artist’s unique insight into Chopin when he plays the 4 Mazurkas (Op. 33) as well as the monumental Sonata No. 3 in B minor. THE BEST DEAL FOR GREAT MUSIC IN VANCOUVER! 25% DISCOUNT FOR SENIORS, STUDENTS AND BCRMTA MEMBERS! YOUTHS GRADES 1 THROUGH 12 PAY ONLY $15 PER TICKET! You will have a chance to win a trip to Warsaw for the Finals of the 18th International Fryderyk Chopin Piano Competition, to be held October 2020 in Warsaw. The package includes a round trip flight for one person, two tickets for the Finals and three days of accommodation. To qualify for the draw, you will have to be a subscriber OR a single ticket holder for the Kevin Kenner recital. The draw will be held at the Kenner performance on November 24, 2019.